Born in 2005 in Katowice. 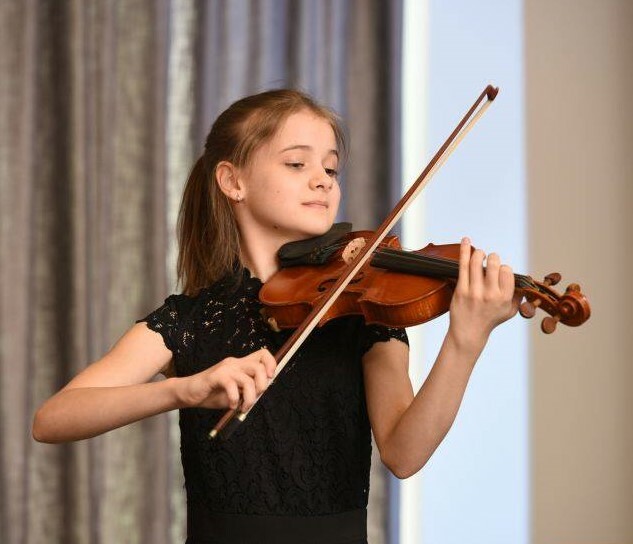 Between 2012 and 2018 she attended the Stanislaw Moniuszko State Comprehensive Music School in Katowice, where her teacher of violin was Urszula Szygulska MA. Presently she studies at the Jadwiga Kaliszewska Secondary Music School in Poznan, where her teacher of violin is Prof. Marcin Baranowski. She has already given a number of concerts as a soloist with the Zabrze Philharmonic and in collaboration with the Institute for Music Promotion and Popularisation SILESIA. She has also taken part in numerous master classes and violin workshops. In 2016, she was awarded scholarship of the Polish Children’s Fund. She has been awarded twice the Prize of the President of Katowice for talented learners of music schools in that city. In the 2017/18 school year, she was awarded of the CEA Scholarship.